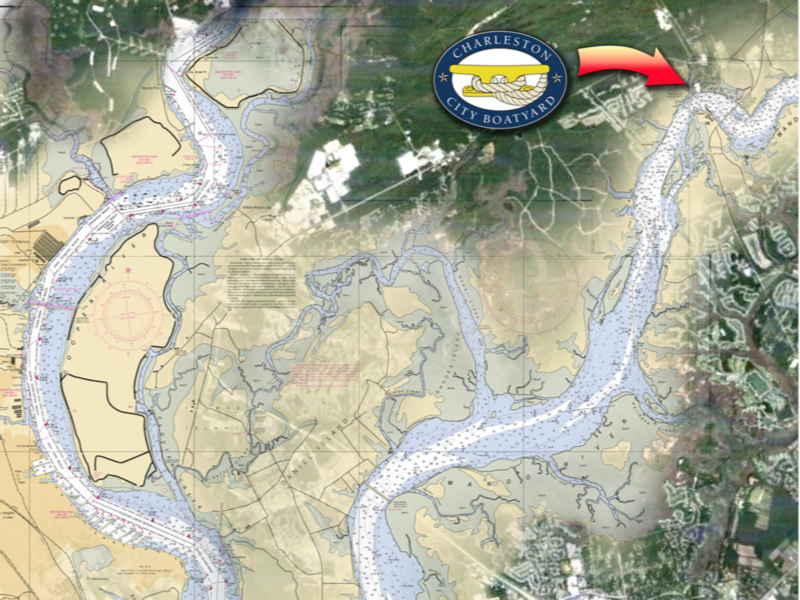 The Charleston City Boatyard, a subsidiary of Charleston City Marina, A CRUISERS NET SPONSOR, is found on the northern reaches of the Wando River north of red marker #40. Also see Free Bottom Paint Offer. 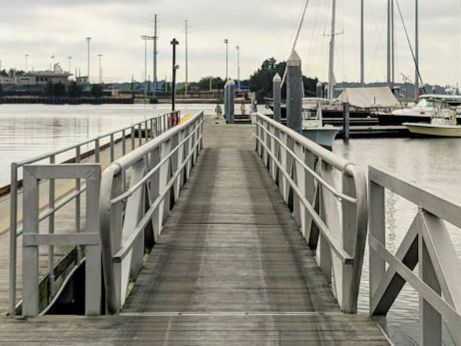 Spring has Sprung – need a spot to dock your Boat? Is your boat looking for a new home? Or are you a new boat owner in need of a dock that will allow you access to the water in minutes? We can help! Charleston City Boatyard currently has in water slips available at our docks on the Wando River. Rental is month to month, and boat must be 30 ft or larger, rates start at $17 per foot, plus electrical. If interested please contact Edward Parker at 843-884-3000 or click below. Directions to Charleston City Boatyard! From Downtown Charleston – Take Highway 17 North over the Ravenel Bridge toward Georgetown. Once in Mt. Pleasant, on the other side of the bridge, continue on 17 N approximately 8 miles. Take a left on Highway 41 at the CVS. Continue on Hwy 41 for 5.4 miles. After crossing over the Wando River take a left on Clements Ferry Road. Continue 0.8 miles and take a left on Fogarty Lane. The City Boatyard will be on your right. From North Charleston – Take 526 toward Mt. Pleasant. Take Exit 23 North on 526 (Clements Ferry Road). Continue 7.4 miles on Clements Ferry Road. Take a right on Fogarty Lane. The City Boatyard will be on your right. The City Boatyard is located at Buoy #40, N 32.55.767 W 079.49.967. The City Boatyard is located on the Wando River north of the Charleston Harbor. Follow the Wando River and the Boatyard will be on the north side of the river, past the Don Holt Bridge (I-526) and immediately before of the Highway 41 bridge. Monday – Friday | 7:30 a.m. – 5:00 p.m. Copyright © 2019 Charleston City Boatyard, All rights reserved. Thank you for being a valued customer of Safe Harbor Marinas!